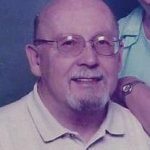 Yorktown – Hellmut H. (Hal) Herdey, age 78, died on January 12, 2019. Hal was a native of Wuerzburg, Germany, born to the late Heinrich and Lilo Herdey on March 24, 1940. He was the grandson of the late August and Elizabeth Knodt of Wuerzburg. Hal came to the United States from Switzerland at age 20 and enrolled at Central Connecticut State College. 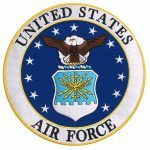 He joined the U.S Air Force in 1963 and was part of the Tactical Air Command. While in the Air Force, he was the USAF Hammer Throw (Track & Field) Champion from 1965-1967. After his discharge from the Air Force, he completed his undergraduate degree in History and Political Science at Central Connecticut State College. After graduation, he worked in the Newport News Public Schools as a teacher and assistant principal. Hal earned a Master’s Degree in Elementary and Secondary Supervision from The College of William and Mary in 1970 and a post-graduate degree from Virginia Tech in 1980. In 1984, he joined the Richmond Public Schools and was principal of J.L Francis Elementary School and Oak Grove-Bellemeade Elementary School before his retirement in 1997. Hal was a member of Grace Episcopal Church in Yorktown, where he taught Sunday School for many years. He also served on the Vestry at the church. He was instrumental in the restoration of the church walls in 1975 and the Bicentennial Activities in 1976. Hal was a member of the Yorktown Rotary Club for many years. He started the annual “Family Weekend” project in 1984 where children with severe illnesses and their families were able to come to Yorktown and enjoy a weekend of fishing and boating on the York River. He also served for many years as the Race Director for the annual July 4th Yorktown Freedom Run. He was preceded in death by his parents, his daughter Dawn Herdey, and brothers-in-law Robert Spiegel and Dr. Walter Riss. He is survived by his loving wife of 53 years, Karin Herdey, their son Christopher Herdey and wife Carlina of Seaford, Virginia. He is also survived by his grandchildren, Jack and Kristina Herdey, the man he considered his Dad, Dr. Gerald Blank and his wife Deanie of Connecticut, sisters Ursula Spiegel and Naomi Blank, brother Dr. Michael Blank and his wife Dr. Marlene Eisenberg, sister-in-law Barbara Riss and brother-in-law Dr. Robert Wells Johnson. Hal was also survived by his nieces and nephews, Jeff, Lisa, Isaac, Lilo, Elijah, Richard, Joan, Elizabeth, Charley, Clare, Gail, and Lynn as well as many great-nieces and nephews, and cousins. Hal loved reading and collecting books, woodworking, and working in his garden but most of all he loved spending time with his family. He adored his grandchildren Jack and Kristina and attended as many of their sporting events and school functions as possible. Funeral arrangements are thru Amory Funeral Home located at 410 Grafton Drive in Grafton. The family will receive visitors at the funeral home from 6pm to 8pm on Friday, January 18th. A funeral service will be conducted by the Reverend Carlton Bakkum at Grace Episcopal Church located at 111 Church St in Yorktown on Saturday, January 19th at 2pm with a graveside service to follow. In lieu of flowers, memorial donations may be made to the Grace Historical Church Preservation Foundation, P.O. Box 133, Yorktown, VA 23690.